Project Lead Janos Gaspar on why community feedback played an important role in the development of Total War: Attila. 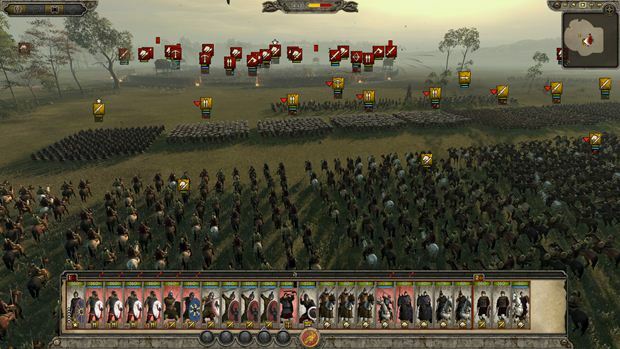 Total War: Attila is the ninth entry in the Total War series of strategy games. The title is set in the year 395 AD, during the early Dark Ages. The players will eventually become the leader of the Huns but they have to initially work their way up to become one. The game come out today and GamingBolt’s Martin Toney found it to be one of best strategy games that you will find on the market. Before the launch of the game, I got the chance to speak to the Project Lead of Total War: Attila, Janos Gaspar to know what kind of changes they have implemented in the sequel. Rashid Sayed: Rome II received mixed reactions because of the aggressive changes to the formula. Having said that how did that affect while developing Attila? Janos Gaspar: Rome II was a very ambitious game, and we went on to make some significant changes to it in the year after launch. 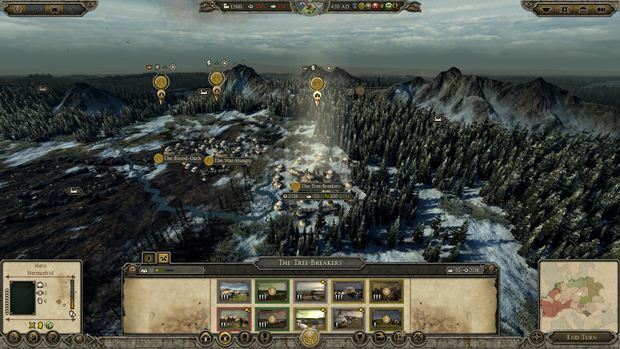 This culminated in the Emperor edition, which has become the largest entry in Total War history,and got a very positive reception. With Attila we took these solid foundations and built from there. Total war is 15 years old now, and with every iteration we look at all the features and ideas we have and decide what would go best with the scope and the theme of the upcoming game. We wanted to make Attila one for our core fans, so we looked through the community feedback and incorporated many features and tweaks that were not just in our backlog of things to do but also reported as favourites by them. For example, the family tree is something that was missing from Rome II and Empire because of the grand timeframe of those titles, but the more human scale level of Attila and the sentiment of our fans made it a very early candidate for inclusion in Attila. "The long sieges, the worsening conditions provide a fertile soil for outbreaks of nasty diseases. And as these epidemics spread between armies and cities, through trade routes and the road network, you’ll be in grave danger, even if you manage your realm well." Rashid Sayed: Total War Attila is set very close to the Dark Ages, a period where famine and diseases were common. How deeply will Attila include these calamities? Furthermore, how will this impact gameplay? 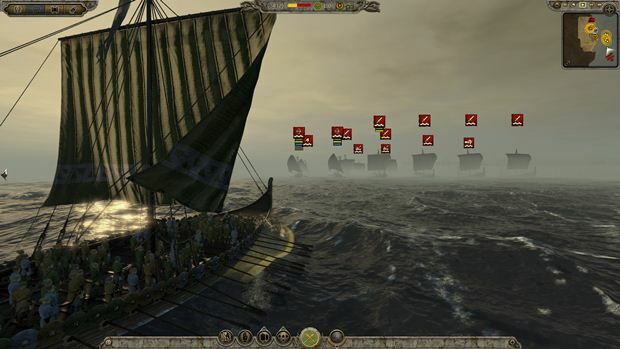 Janos Gaspar: We call Attila a survival strategy game. All the new features revolve around this survival aspect. No matter which faction you play or how cautious you are, sooner or later you’ll encounter the deteriorating conditions. The encroaching war and the climate change will affect your economy and food production and will cause famine sooner or later, especially if you are not ready to migrate or defend your territory. The long sieges, the worsening conditions provide a fertile soil for outbreaks of nasty diseases. And as these epidemics spread between armies and cities, through trade routes and the road network, you’ll be in grave danger, even if you manage your realm well. And there’s a lot more to worry about: the arrival of the Huns uprooting tribes, and the new migratory elements can do the same. At the end as a chain reaction, all these people end up on the borders of the Roman Empires, trying to claim a new home for themselves and protect it at all cost. Rashid Sayed: Total War is one of those rare real time strategy franchises that consistently break into millions of sales with each entry. How does it feel to lead the genre with such dominance? Janos Gaspar: It’s very humbling to work on such a title, and with such a dedicated and talented team. At the end all of us are total war fans and players, and we want to do the best we can! Rashid Sayed: How many people are working on Total War Attila right now? Janos Gaspar: Currently around 80, as we are ramping down in the run-up to launch. At its height there were around 150 of us. "Attila and the Huns are true nomads, they can never settle. So you have to completely change your mind set about how you play a total war game. Usually you go out, capture territory, and build up a huge empire. Now that doesn’t work for them." Rashid Sayed: I have this assumption that in real world events, the reason why Attila was so successful was because he had access to superior technology. How are you making sure that this is reflected in the game? Janos Gaspar: The technological differences are present in the factional tech-trees, but the unit availability and their different battlefield roles, the overall political climate and the freedom of hit and run tactics even on the campaign map also make them fearful enemy…Or a very interesting and fun faction to play with. Rashid Sayed: The climate change and the migratory factions seem to be interesting concepts. How are you planning to make them work within the context of the game? Janos Gaspar: Some of the key reasons behind this migration were overpopulation and climate change. As time passes in the game, the winters will become more and more severe and the fertility of the land decreases. This will prompt tribes to consider moving, but the arrival of the Huns will definitely dislocate them. If a faction is migrating, their armies effectively carry their cities with them – these are what we call hordes.When the horde chooses to camp, it can get to work on constructing and upgrading its buildings, enabling the horde to sustain itself and generate income. At any points, they can pack up their tents and move on again. Rashid Sayed: Will Attila and the Huns play in a very different manner? If yes, can you please explain how? Janos Gaspar: Attila and the Huns are true nomads, they can never settle. So you have to completely change your mind set about how you play a total war game. Usually you go out, capture territory, and build up a huge empire. Now that doesn’t work for them. You can only subjugate people, raze their settlements and wage war around Europe. This gives you an unprecedented freedom which, combined with their unique faction traits, makes them the force that sets events in motion across the map. If you play with the Huns you can become very strong, very early and take whatever you want, eliminating anyone who resists. If you’re playing a different faction… Well, then they will come after the waves of tribes fleeing from them, and make your life miserable! "Supporting multiplayer is important for us and with Attila we made sure all the new features are available and valid in multiplayer as well." Rashid Sayed: Is there a specific reason why the same co-op system from Rome II is being carried over to Attila? Janos Gaspar: The framework is but the game isn’t entirely the same. Supporting multiplayer is important for us and with Attila we made sure all the new features are available and valid in multiplayer as well. So you can migrate and raze settlements in multiplayer campaigns, but now you have your family and political matters to worry about, for example. Rashid Sayed: You have probably been asked this question a lot in the past. Given the success of PS4 and Xbox One, are there any plans to bring Attila? Don’t you think the game could do well given the console’s emphasis of social engagement this time around? Janos Gaspar: There are certainly no plans to do so at the moment, but it’s fair to say that we keep an eye on new and emerging technologies to see if they fit with what Total War is.